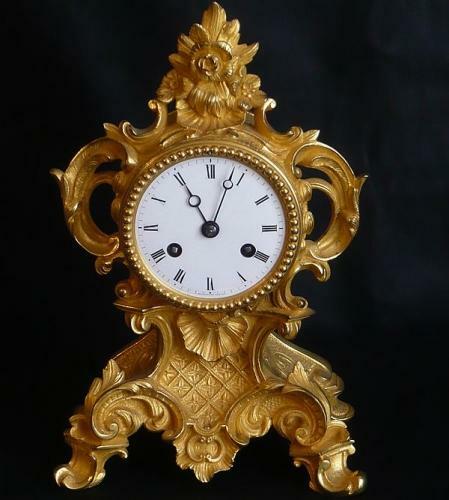 A small size French Ormolu mantle clock circa 1860. The 8-day movement signed Belettrez and Vincenti A Paris, strikes the hours and half hours on a bell. The white enamel dial signed Belettrez Paris. Comes with 1 year movement guarantee.